The Eskelinen family took over the café business in the Saima House in 2011, using their broad experience of over 40 years in the café and bakery industry, most notably, the successful HerkkuPekka bakery and café in the centre of Savonlinna. With the return from England of their daughter Johanna and her husband David Taylor in 2013, the café grew continually to its’ current welcoming and friendly atmosphere. The couple is nowadays in charge of the day-to-day running of the café, but all family members play a strong part by bringing not only their extensive industry knowledge but also additional key skills to the business. Johanna’s brother Teemu Eskelinen, the owner of HerkkuPekka, is also the key contact for IT. Mum, Ulla Eskelinen, does the business administration and Dad, Pekka Eskelinen, knows everything about repairs and maintains the business relations, as well as being the most experienced baker in the family. Although the whole Eskelinen-Taylor family is involved in the successful running of Café Saima on a daily basis, Johanna is still the first point of contact for many of our guests. Johanna studied Food Production Management at Jyväskylä University, including 5 months abroad in Singapore and 6 months in England. It was during her time in England that she met her future husband. David gained his degree in Business Administration and German at Huddersfield University and has a background deeply steeped in 5* establishments both in England and in Europe. Having worked together at the prestigious world famous 5* Chester Grosvenor Hotel and Spa for a year, Johanna then diversified and began a progressive IT career at first in the pharmaceutical industry, working at Bristol-Myers Squibb for 6 years and later in the Aerospace industry for 5 years at European Aeronautic Defence and Space Company (EADS); whilst David moved on to be Business Office Manager for the catering division at the very busy Chester Racecourse for 6 years, finally overseeing the day to day management of the multiple award winning Restaurant 1539 at Chester Racecourse for 3 years. After the birth of their first son in 2007, the goal was always to return to Finland at some point in the future, and in 2013 the family moved back to Savonlinna to be more directly involved with the family business. 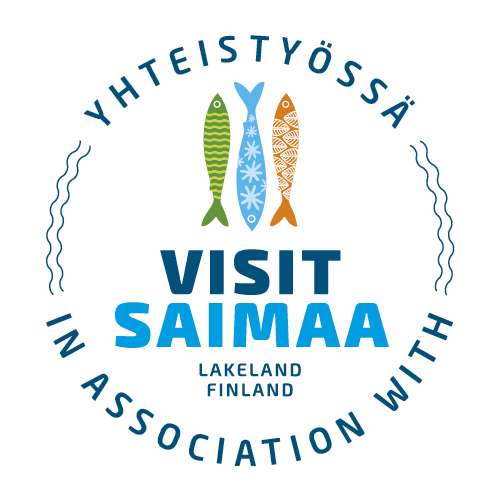 Café Saima really is a family business in the true sense of the word, where the many decades of professionalism, high quality catering education, dedication to customer satisfaction and international business experience comes together. We offer friendly and knowledgable service of fresh, many local ingredients and products for our guests to enjoy in a warm atmosphere.